The focus of this exercise is to keep the height and dynamic level of the left hand low. You can play this exercise alternating it to the left as well. Keep an eye on all of the smaller strokes and remember to stop each accented note from rising after each initial stroke. 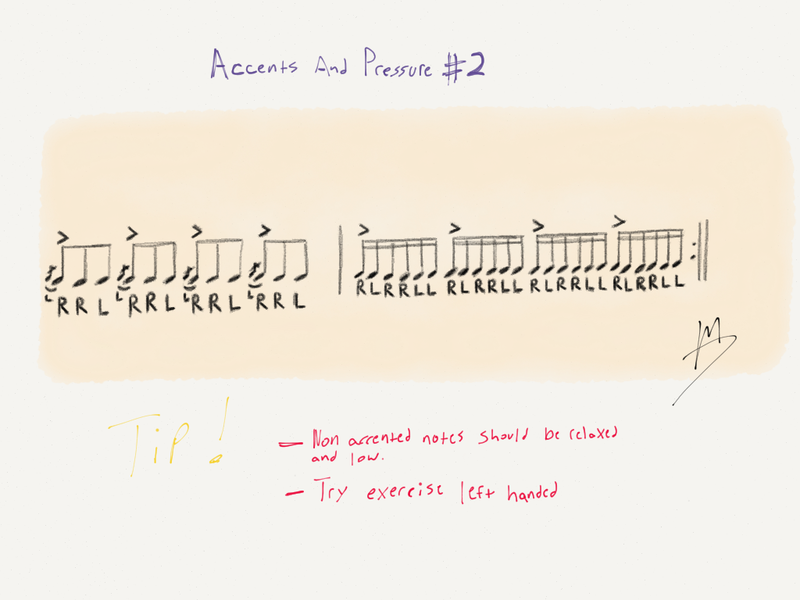 Start slow and work on the mechanics of each rudiment, then pair the two together. ← KBrakes Are Now Available For Purchase!